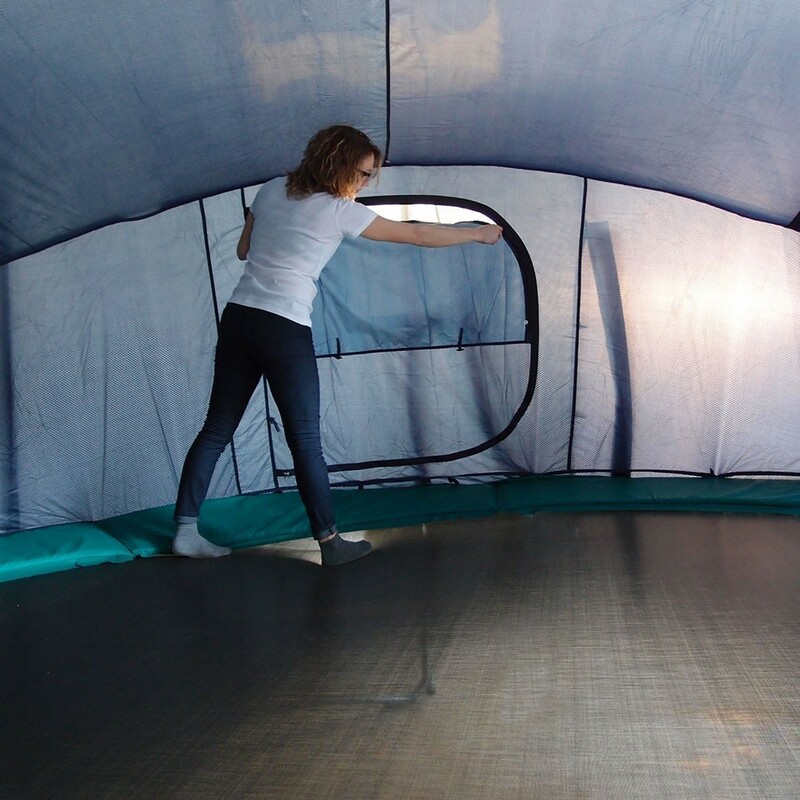 Make a perched cabin out of your trampoline and a new recreational space for your children! Our Igloo tent will your trampoline a brand-new look. 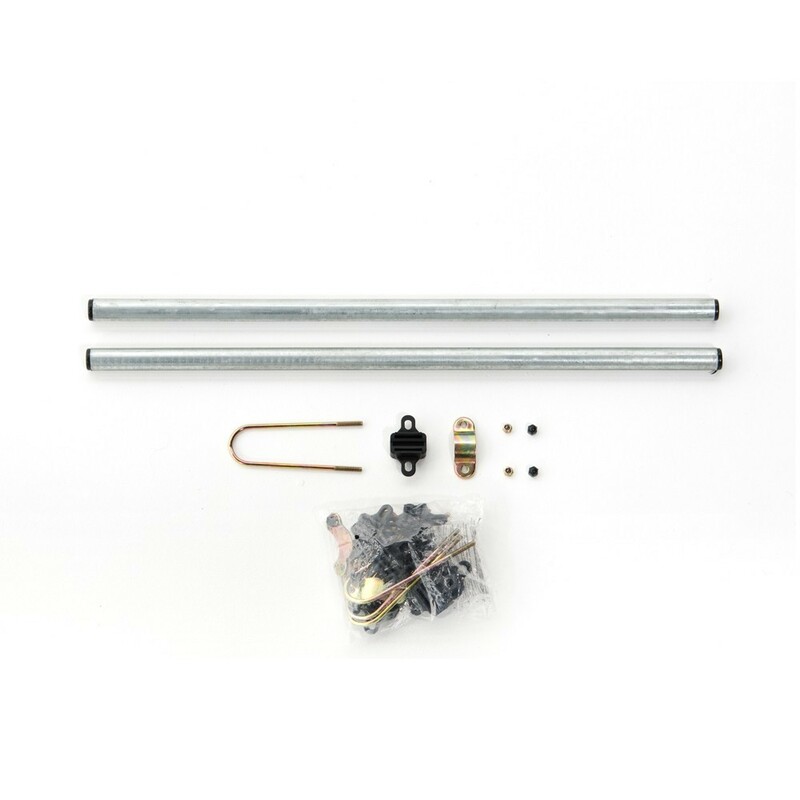 - This model fits all our 3m/10ft wide Oxygen, Hip/Hop, Jump'Up and Booster trampolines along with all round trampolines with a 3.05m diameter. - Made from a 170T polyester that combines lightness and high-resistance. The tent has been treated against UVs guaranteeing a long life. 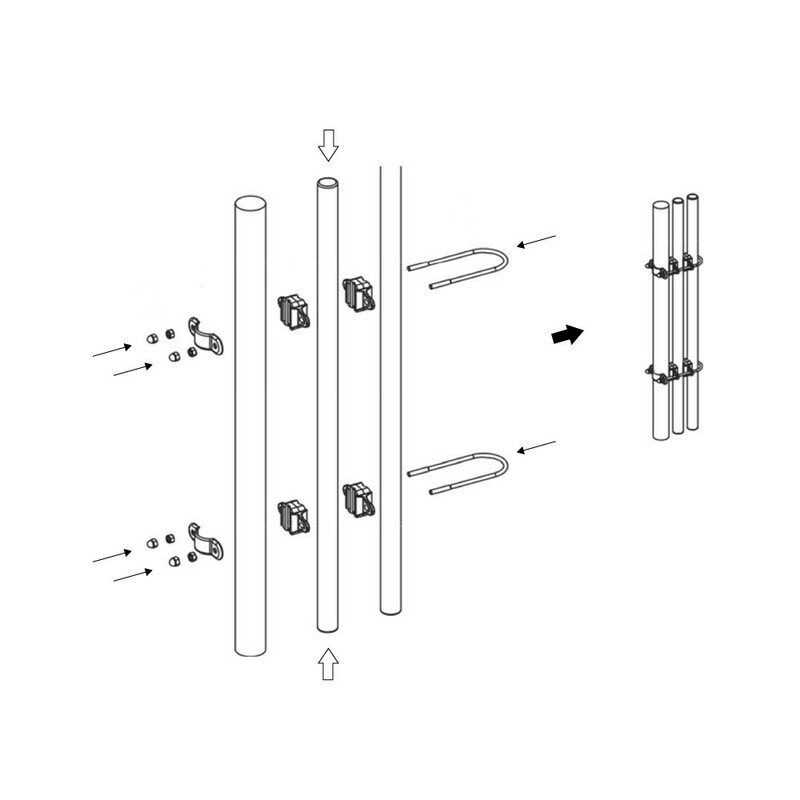 - Quick and easy installation, with its 2 fixations on each side of the trampoline. The bonus point of this Igloo is that you won't even have to take your safety enclosure down! 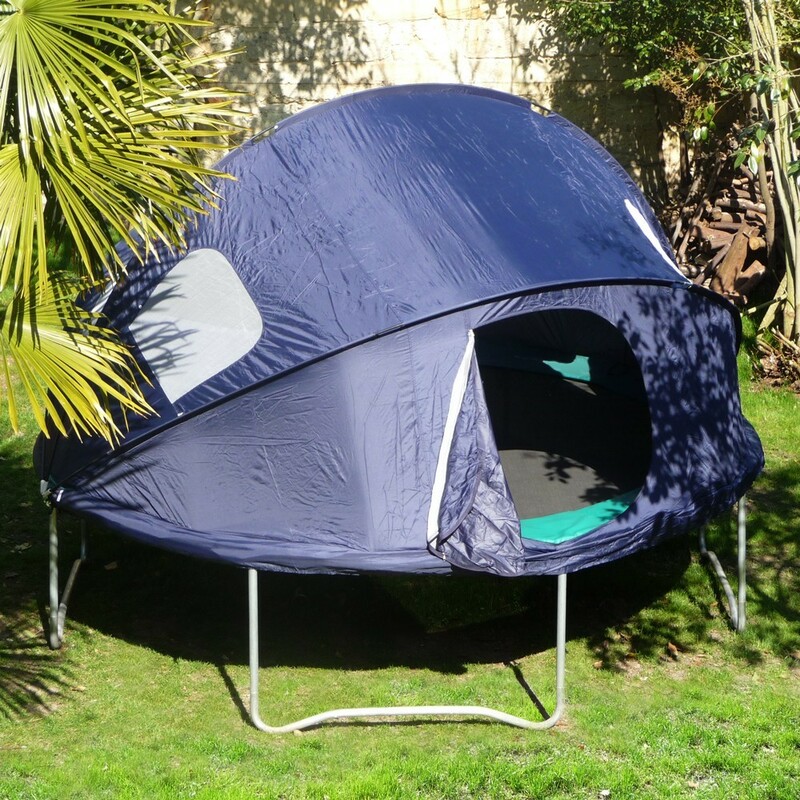 - The tent has a zip door, air vents and roll-up flaps allowing air to flow. - This tent does not allow the use of the trampoline for jumping. - Warning, we recommend taking your Igloo tent down in the event of strong winds or severe weather. très mauvaise finitions, je n'ai pas l'impression d'avoir acheté francais!. la fermeture éclaire se bloque et les coutures sont extrêmement tendues? ; je ne suis pas du tout satisfaite de ce produit. Tres bien mais là encore, il manque des étapes dans la notice de montage pour une première utilisation!!!! !